Friends! I have been invited to go to an orphanage in Kenya from April 24 - May 18th, 2016 to start a medical clinic for them. The orphanage is for children who lost their parents to AIDS, and many of the children are HIV+ as well. 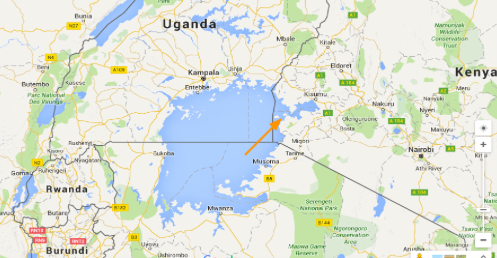 The orphanage is located on Rusinga Island, a remote place in western Kenya located on Lake Victoria. I'm going to be setting up a small clinic for them at the orphanage so staff can provide basic medical care for the children without having to arrange transportation to the hospital. I'll also be doing some basic medical training with the staff so they know what conditions are approrpiate to treat at the orphanage, and what symptoms should prompt them to take a child to the hospital. I would so appreciate your support! My personal expenses will be about $3200, between the flight, visa, ground transportation, travel vaccines and lodging. The extra funds will be used to buy medical supplies and equipment for the new clinic. Like I did when I went to Togo, I've created a Kenya Registry, so you can contribute towards a specific expense. Whatever you can give, large or small, is so helpful!!! Click HERE to go to the GoFundMe page and make your donation. darlin' don't you know where you're from?